“‘When Bokonon and McCabe took over this miserable country years ago,’ said Julian Castle, ‘they threw out the priests. And then Bokonon, cynically and playfully, invented a new religion'” (p.172)—opens Chapter 78 of Kurt Vonnegut’s Cat’s Cradle. The false choice between McCabe and Bokonon in the other world created by Vonnegut happens to represent well the delusion of choice that exists in the U.S. (not to be examined here, but McCabe/Bokonon reflect the false choice currently in the U.S. between Republican/Democrat; it’s a fake fight, and a false choice). This delusion, in fact, doesn’t even require the existence of choice—the word itself is nearly magical. But the choice that is the soma of American Myth tends to be binary and constrained, actually no real choice at all. Should I buy an Accord or a Camry (no real difference, by the way)? But never, Should I even own a car? And that constraint tends to lie within making sure Americans have no choice other than to work, work, work and thus participate fully in the great Free Market. This choice isn’t really about choice, but about keeping everyone busy and focused on choosing so that no one will consider the alternatives. 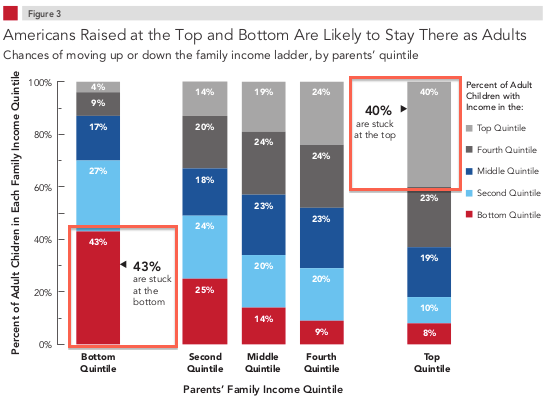 This dynamic plays out in the education reform debate through the emphasis on parental choice: that parents must have choice and that parents must know how to choose what education is best for their child. Just as choosing between car models fails the larger freedom to choose, the school choice truism fails to acknowledge the possibilities of creating conditions that are beyond choice—conditions that make parents choosing what school is best unnecessary. Many people living in poverty in the U.S. must choose between eating low-quality but cheap food or spending limited funds on more expensive but healthy food (and thus sacrificing other expenses). When do we ever discuss creating a world in which that choice isn’t needed, a world in which only healthy food is available and all food is affordable regardless of social class? Is that really beyond the scope of a free people and the richest country in the history of humanity? A a simple example, the South (mostly) has chosen not to play the toll road game, one in which people must choose between spending more money or more time. Many areas of the South have a large number of publicly funded roads (as a cyclist I ride for miles and never see a car, never see a house, but there is a road, usually well maintained). That attitude toward roads rises above choice; open and available roads render choices between spending time or money irrelevant. But also, that was a choice, a culturally and regionally bound choice. 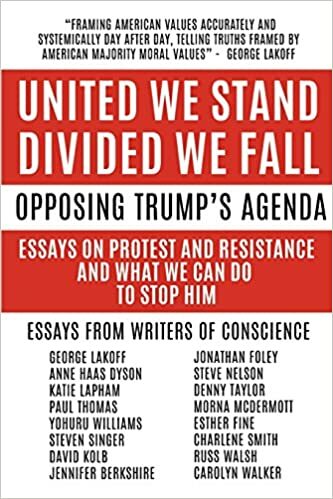 Idealizing choice and failing to unmask false choice are, ironically, failures of choice, the myopia created by the belief that choice is sacred, that choice is the only key to human freedom. But in our new research we found that three and a half years after finishing university, graduates who attended private schools earn an average of 7% more per year than graduates who went to state school. This could easily be interpreted as the need for choice so the superior private option could motivate the inferior public model to do better—if the consumers choose and create such pressure. 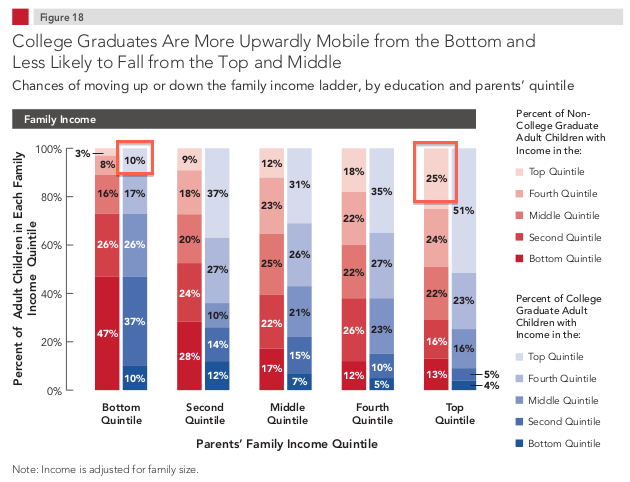 Thus, if we remain committed to choice—that parents and students must have choice in order to spur higher quality education, that in turn will overcome social inequity (classism, racism)—we are not directly addressing class and race inequities, and thus allowing them to continue: Within class and race, education makes a difference, but education does not erase class and race inequities. Again, we are committed to a false and misleading choice, and not creating a world where that choice isn’t needed once we have eradicated (mostly) classism and racism. The soma of choice in the U.S. keeps us addicted to competing so that some may win—while excluding the possibility of collaborating so that all may thrive. As we seek ways to create better education, we should stop demanding that parents and students have choice, and start demanding that no parents or children should have to choose. This is the sort of real choice a free people can and should make. NOTE: See report by Richard Reeves and Isabel Sawhill identified in Figure 1. My caveat, however, is about what we mean by “writing well.” Vonnegut above and my agreement are confronting what I would call those who are by their nature and inclinations writers first—those who labor over poetry, fiction, essays, and the like for months and even years (and decades) without any real hope anyone will ever publish that work. These are writers who write because they have to, but not necessarily because they want or need to. For over thirty years now, I have taught primarily high school and undergraduate students to write—but that effort is rarely about the sort of writer mentioned above; instead I am teaching writing that is essentially functional and disciplinary. And it is there that I diverge from Vonnegut because I know for a fact that we can teach people to write well in the disciplines, often extremely well even when they do not particularly like to write, even when they insist they are not very good writers. One of the most effective approaches to teaching disciplinary-based essay writing is to focus on large concepts about effective writing and then grounding that in examining poetry in order to teach those concepts. Using poetry to reinforce essay writing helps highlight the universal qualities of powerful writing and continues to push students in their awareness of genre, form, and medium as they impact expression. This fall, in fact, I have had several students directly challenge my focus on being specific—the importance of details, concrete language, and, as Flannery O’Connor has argued, triggering as many of the reader’s senses as possible. In class, we begin to read and examine this poem, but I use this discussion to highlight the craft of writing (especially as that relates to disciplinary essay writing), not to do the traditional poetry analysis most students expect. After we begin discussing the poem, I steer the students back to the title, which in this case is extremely important. Thus, I emphasize the importance of the title as well as discuss the art and craft of subheads in disciplinary essays. Many students have not focused on titles, and often submit essays without titles so this is typically a key lesson for first year students. Next, we highlight the use of “gold” in the opening line and the final stanza. The points I stress are about word choice, connotation, and framing. I believe essay writing must begin at the word level for young writers; they need a greater sense of purpose in the words they choose, notably specificity, concreteness, appropriateness (key here is that words have specialized meanings in the disciplines), and clarity. And that connects with connotations of words; in the poem, “gold” carries a great deal of important information about the scene, issues related to wealth and privilege. My students are quick to admit that Kingsolver has chosen “gold” with intent, purpose. Further, “gold” serves as a framing motif since she incorporates the word in the opening line and the end. I stress to students that essays are often framed (and to avoid the mechanistic introduction and conclusion format they have learned in high school). Framing and motifs add powerful and concrete elements to writing that young writers often lack. We also confront Kingsolver’s use of “one” and “it,” especially the latter since I have stressed the problems with the pronoun to my students. In this poem, “one” and “it” create meaning in their repetition but also in their mixed implications about both the domestic worker and the vase. The point of emphasis is that Kingsolver, again, chooses and repeats words with purpose to create meaning, and this contrasts with how students are apt to repeat and use empty or vague language from carelessness. Finally, we discuss the effectiveness of writing with characters and plot as well as the impact of showing versus telling. People doing things are powerful, much more powerful than abstractions. Kingsolver in her poem trusts the reader to know the abstractions she is showing; however, young writers tend to make many grand announcements (often overstated) and fail to show or support those claims. This fall I followed the discussion of Kingsolver’s poem with Martin Luther King Jr.’s “Letter from Birmingham City Jail,” and the result was impressive. We were able to identify these craft lessons immediately in King’s essay; students were also significantly more willing to embrace the concepts once we worked through the poem and then into King’s writing. While there is a cynical irony to Vonnegut’s claims about teaching the unteachable—written by a writer who often taught at writing conferences and legendary writing workshops—ones that do elicit laugher, I am convinced that we teachers of writing who serve primarily students who will have to write while in formal education and then may go on to write in the disciplines can be very successful, but only if we take the teaching of writing seriously, and seek ways in which students can grow as writers. Focusing on the universals of effective writing and then allowing students to examine and practice those universal are essential. And to do that, I find that poetry is an excellent resource for teaching the writing of essays. Are we teaching students to be good writers? Why Are We (Still) Failing Writing Instruction? As a lifelong fan of science fiction (SF), I want to start by invoking a SF convention that never gets old: time travel (but I’ll spare you the whirlwind prestidigitation mastered by Kurt Vonnegut, who married time travel and non-linear narrative in Slaughterhouse-Five). Once upon a time (well, I must confess, I enjoy a bit of genre-splicing also), Bill Gates, billionaire and burgeoning education hobbyist, began tossing his considerable expertise (read: money) at small schools projects. Low and behold, Gates eventually looked at the research his own foundation gathered, declared the project a failure, and scuttled away—only to decide that the greatest scourge on the planet was the enormous number of “bad” teachers failing our children everyday! Let’s do some truly basic math. As the Los Angeles Times reports above, Gates is now focusing on teacher quality–including calls for teacher evaluations tied to test scores measuring student achievement against the common core standards. Let’s return now to the present where the Gates machine has called for a moratorium on all that Common Core and VAM stuff because his own people’s research appears to refute what Gates has been pontificating about in the compliant media gaze that only Gates seems worthy of receiving (I hate to beat this to death, but do any of you see a pattern here?). 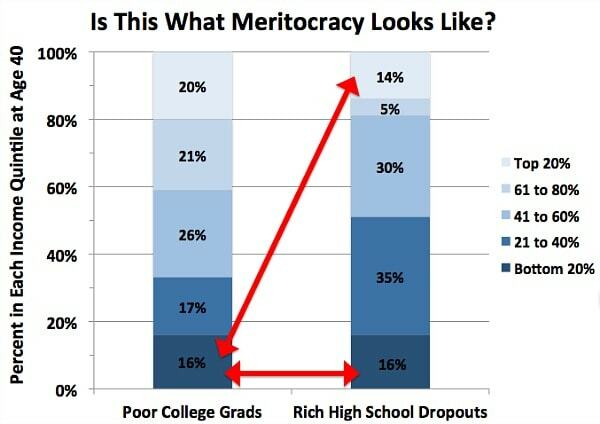 First, Gates/small schools, Gates/VAM, and Gates/Common Core are all the same flawed dynamic in which political leaders, the media, and the public confuse wealth with expertise. Remove Gates’s billions and he would have zero credibility in any of these ventures—and I still maintain that the small school debacle is the most telling part of this story  because Gates misread his own research, declared erroneously the commitment a failure, and simply walked away leaving others to hold the bag (roadbuilder he has always been, roadbuilder he will always be). And this leads to the debate and discussion that has blossomed from the Gates moratorium announcement. So our second lesson is somewhat positive: If we could ever set aside confusing wealth with expertise, we may come to recognize that among educators, scholars, and researchers we already have a wealth of expertise that could better serve our goals of education reform. 20 June 2014: John Thompson: Time for a Truce in the Battle Over Education? And while I enjoy coming back to and finding new SF again and again, in education reform I am eager to step off the “Déjà vu all over again” merry-go-round. Bill Gates, about that moratorium? No thanks. And while we are at it, no thanks to all the rest either. If you’d stopped building your roads we never asked for right through the middle of our villages, we would have time to take care of business here, instead of constantly staying one step behind underneath the rubble of the disasters you create. Please read carefully Good Doubt and Bad Doubt from 2007 and Why Did the Gates Small-High-Schools Program Fail? : Well, Actually It Didn’t from 2010 for some really powerful time travel. And this is just must-read: Bill Gates should hire a statistical advisor. Memorial Day should be a day for putting flowers on graves and planting trees. Also, for destroying the weapons of death that endanger us more than they protect us, that waste our resources and threaten our children and grandchildren…. Small and unexpected resurrections of a kind help lighten the weight of the inevitable consequence of aging, those losses of people and things that you know must happen but you regret nonetheless. One such loss for me was when the group R.E.M. called it a day. So it is fitting that I sit writing these recommendations while listening to Unplugged 1991 2001, a beautiful and bittersweet resurrection of everything I love about R.E.M. and everything I miss, mostly that there will never be a new R.E.M. album. When Kurt Vonnegut died 11 April 2007, I cried on and off for several days, unable to hold inside that I was filled with Vonnegut’s art. I found myself crying as I came to the end of the first official biography of Vonnegut as well, prompting a poem. Since Vonnegut’s death, we have been gifted small and unexpected resurrections, including two new books. If This Isn’t Nice, What Is? 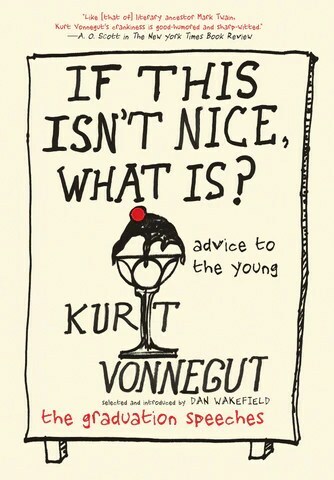 : Advice to the Young is a collection of Vonnegut’s graduation speeches, a form that suited Vonnegut perfectly since he worked on a basic framework found among comedians: The Joke. And jokes are perfect for graduations where people invited to give speeches often take themselves and the ceremony far too seriously (see my own tongue-in-cheek graduation speech written mostly as a homage to Vonnegut). If This Ian’t Nice, What Is? If this collection isn’t perfect for a graduation gift, what is? I probably fell in love hard with the work of Vonnegut with Breakfast of Champions, although Vonnegut himself offered only an average grade for the work. Part of the attraction, I know, are the crude drawings, Vonnegut’s artwork that blends his calling to capture the world simply—I feel Thoreau in the background—and to remain true to his primary love, words. I probably came to understand fully the work for Vonnegut with Cat’s Cradle, which Vonnegut graded highly also, and I return to it often to help me navigate the world too complex for a humankind unkind. However, like his A Man without a Country, the collected graduation speeches are punctuated with his drawings, something that remains possibly the most endearing quality of published Vonnegut, which leads me to the other new Vonnegut resurrection—Kurt Vonnegut Drawings. 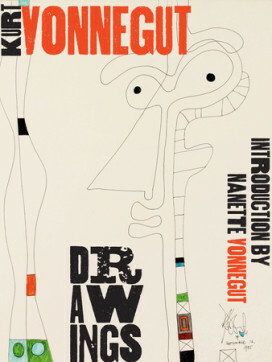 There is an apt and warm touch to this collection of Vonnegut’s visual art, the “drawings” in the title. Vonnegut, if anything, is an artist that embodies childhood as well as a glorious faith in childhood. When he is most serious and most angry, he appears to be his most playful and childlike, but never childish (preview some of the pieces in this review). In my most recent poem, Vonnegut’s Bluebeard came rushing back to me, unbidden. I preface the poem with a line from the novel and then include an allusion to the novel’s ending. Bluebeard is one of Vonnegut’s many faux autobiographies that exist in a netherworld between fiction and nonfiction that forces the reader to consider everything she/he knows about genre while also setting all of those assumptions aside. There is a good deal of Vonnegut to find in Bluebeard and Rabo Karabekian (who confesses [for Vonnegut? ], “I may have been a lousy painter, but what a collector I turned out to be!”); just as there is much in both that tells us almost nothing about Vonnegut. Having spent a year or so of my life as a biographer, and then having read dozens of biographies, I am under no delusion Vonnegut was some saint of a human as he walked the earth daily. Who is? But—despite Vonnegut being mostly a man of letters—I find his drawings help me come to terms with the complete Vonnegut, the human Vonnegut wanted to be, the humans Vonnegut wanted all of us to be. Vonnegut shall not pass for me until I too pass because he remains in that thing that a small group of humans reach for, frantically I think as a very human thing to do—our shared frailty and mortality coming up against our longing for immortality: Art. Hold the hardback copies in your hands to feel the weight, and then flip each over for the two photos of Vonnegut. On the back cover of the speeches, Vonnegut is striking a Tom Wolfe pose and look, foregrounded by a pigeon just slightly out of focus. But save the back cover of the drawings for last: Vonnegut sitting, weathered face balanced beautifully by weathered sneakers and then ceramic Laurel and Hardy on the table beside him. 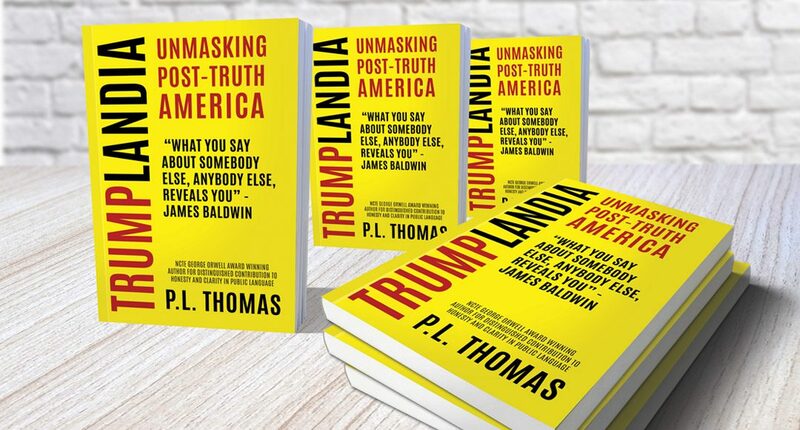 Please, buy these books, but buy extra copies. Hand them out to strangers as you walk down the street.